* ... PIE RUN: Thanksgiving is this week, and I can't decide what I enjoy more: the traditional dinner with friends or the annual Pie Run that kicks off the holiday at 6 a.m. at Hart Park. If you are new to town, this is a signature Bakersfield 'can't miss' event. All you need is the discipline to get up before dawn, drive to Hart Park and join a couple hundred other folks to either walk or run the course through Hart Park. Bring your dogs, some warm mittens, your running shoes and don't forget some breakfast food for the pot luck. John Rous, one of the founders of this annual event, reminds me that all of the leftover food goes to the homeless shelter. This is also the event that drew the wrath of the air pollution police a few years ago because - heaven forbid! - Rous had the chutzpah to light a small bonfire to warm the runners. (The air pollution control district later relented after Rous agreed to convert the bonfire into a barbecue pit, the only way a fire would be permitted.) That aside, the event goes on. "This is not just for runners," he said. "There are mothers pushing infants in strollers, walkers, bicyclists, all enjoying the morning." Make sure you arrive before Rous stands on a picnic table and kicks off the event precisely at 6 a.m.
* ... EL NINO: This will be a wet week in Kern County, thanks to an El Nino that scientists say will definitely be the most powerful on record. The real question is what parts of California will get the rain, and how it will affect the drought? 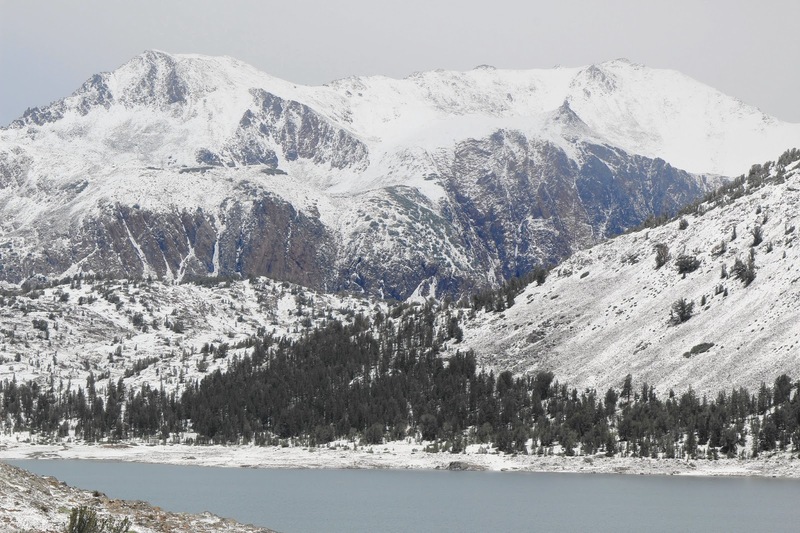 What we need is snow - not rain - in the Sierras so the reservoirs will will be gradually restored over time. And unfortunately, it looks like Central and Southern California will get more precipitation than Northern California. Still, this promises to be a wet winter, a bit colder, and that is something to welcome. * ... BABY NAMES: If you want a peak into how our world has changed, consider the top ten baby names popular in the decade of the 1970s. Here they are, in descending order: Kimberly, James, Michelle, David, Melissa, Jason, Amy, Christopher, Jennifer and Michael. Do you see yourself, or your children, on this list? * ... SPOTTED ON TWITTER: "Wouldn’t exercise be more fun if calories screamed while you burned them?" * ... MORE TWITTER: "I won’t come to your party unless you have an animal I can spend the whole time hanging out with." * ... MARE: Hats off to the good folks over at the MARE Riding Center which celebrated its 25th anniversary in October. Said Diane Hopkins: "Thanks to all our sponsors, donors, supporters, board members, volunteers and staff. Everyone had such a good time and we are very thankful and proud that MARE has served the Bakersfield community for 25 years."